The Rio Grande Valley's historical heritage reaches far into the past as early indigenous Indian nomadic tribes inhabited the area as much as 11,000 years ago. Settlement and development of the RGV began in the 1700s when Spanish explorers traveled north from Mexico in search of treasures; gold, silver and salt. The Spanish established missions throughout Southern and Eastern Texas but they were met with failure due to harsh conditions and unfriendly natives. The Valley did not see much development until the United States Civil War during which time the Port of Matamoros became an important supply depot for the Confederacy. At one time early on, the Anglo population of Matamoros exceeded the Hispanic population by such a large margin that there was an English language newspaper published there. After the Civil War and the Mexican American War land speculators, such as Richard King, John H. Shary and Lloyd M. Bentsen to name just a few, brought irrigation to the Valley taking advantage of the tropical climate and turning it into a "Magic Valley" where crops could be grown all year 'round. In the early 1900s they promoted this concept heavily in the Midwestern United States and even arranged for private trains to bring prospective land buyers to the region. Once here they were given the royal treatment, wined, dined and taken on tours of the areas citrus groves and truck farms which had by this time become successful on a large scale. Texas has become the third largest citrus producer in the US with the majority being grown here in the Rio Grande Valley. In addition to citrus fruits, the Valley produces a wide variety of vegetables as well as cotton and sugarcane. In the 1960s the Valley saw the introduction of maquiladoras. A maquiladora (makilaˈdoɾa) is a manufacturing operation in a free trade zone (FTZ), where factories import material and equipment on a duty-free and tariff-free basis for assembly, processing, or manufacturing and then export the assembled, processed and/or manufactured products, sometimes back to the raw materials' country of origin. The maquiladoras became attractive to the US firms due to availability of cheap labor, devaluations of peso and favorable changes in the US customs laws. In 1985, maquiladoras overtook tourism in Mexico as the largest source of foreign exchange, and since 1996 they have been the second largest industry in Mexico behind the petroleum industry. The 1960s also brought another "cash crop" to the Rio Grande Valley. Because of the migration of Midwestern farmers in previous decades, the tropical climate of the Valley became widely known amongst their families and friends. Wanting to escape the frigid Northern Winters these friends and relatives came to visit once the weather started turning cold in their northern homelands. Commonly referred to as "snowbirds" they came in increasing numbers year after year. Hotels and motels sprung up across the Valley to accommodate these winter visitors. With the rise in popularity of traveling in recreational vehicles came the development of campgrounds, RV parks and mobile home resorts. Somewhere along the line, the term "snowbirds" was replaced by the more affectionate term "Winter Texans" as they are known today. It is estimated that between 100,000 and 150,000 Winter Texans call the Valley their home for the winter every year. 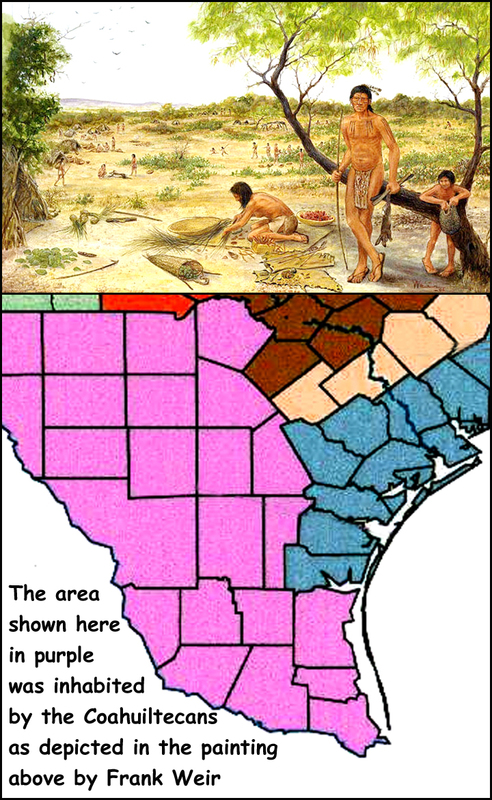 It is widely believed that Native Americans have resided in South Texas for at least 11,000 years. These early inhabitants were hunters and gatherers as evidenced by artifacts found dating to the Archaic Period. Eventually, some forms of agriculture, such as raising maize, was introduced and thus began the agricultural growth of the area. In the 16th century, as Spanish explorers began venturing into the area,the history of the South Texas Plains began to be recorded in written form. At this time hundreds of small, mobile groups of hunter / gatherers spread across southern Texas and northeastern Mexico. These groups have collectively become known as Coahuiltecans, however individual tribes went by the names of Payaya, Pacuache, Mariames and dozens of others whose names have been lost to history. These tribes spoke in a vairety of dialects somewhat related to each other such as Comecrudo, Cotoname, Aranama, Solano, Sanan, as well as Coahuilteco. Sharing overlapping territories, particularly in the prickly pear season, many of these tribes co-existed peacefully. Others were sworn enemies of one another or simply had such widely separated territories that they rarely came in contact with each other. The Coahuiltecans hunted a wide variety of animals, fished, gathered berries, fruits, and roots. During the Summer a major food source for them were "tunas", the tasty and nutritious fruit of prickly pear cactus found in abundance in this region. La Sal del Rey, located in north-central Hidalgo County, is one of several natural salt lakes on the coastal plain north of the Rio Grande. Throughout historic times and likely throughout prehistory as well, the crystal-covered shores of La Sal del Rey attracted both people and animals. An important mineral for human nutrition, salt was also a critical ingredient for preserving meat and animal hides. Early inhabitants of South Texas obtained salt for their own uses, and possibly for trade as well. Prehistoric trade in the lower Rio Grande region is evidenced by pottery shards found at occupation sites near Brownsville, which originated in the Huastec culture area on Mexico's Gulf Coast near Vera Cruz. Shell ornaments characteristic of the peoples near the Gulf coast (the "Brownsville Complex") occur at sites well inland, including Hidalgo County. Salt may well have been a factor in these trading activities. In addition, local lore maintains that Indians from the Mexican interior, including Aztecs, obtained salt from La Sal del Rey. Accounts of Aztec trade with northern regions, as told in Spanish writings, may lend credence to this tradition. More tangible are obsidian artifacts found in the Valley, their origins have been traced as far away as central Mexico, indicating definite links with that region. Beginning in the 16th century Spanish explorers traveled north from Mexico. Searching for gold, these Spaniards traveled first into what is now New Mexico and then made their way along the Rio Grande River into South Texas. Watch for next month's issue to read about the influence of Spanish exploration on the early history of the Rio Grande Valley. Early Exploration of South Texas "Difficult and Dangerous"
Francisco de Garay, a fellow spaniard, traveled with Christopher Columbus on his second voyage to the "New World" in 1493. In 1514 he was appointed as govenor of Jamaica by Spain's King Ferdinand. In 1519 Garay outfitted four ships to explore the northern Gulf shore and placed them under the command of Alonso Alvarez de Pineda. Pineda and his men were the first Europeans to explore and map the Gulf of Mexico shorline from Florida to South Texas. In 1527 Spain sent an expedition led by Panfilo de Narvaez in an attempt to colonize "Spanish Florida". The expedition failed after the initial 600 men were reduced to only about 250 by hurricanes, attacks by indians, poor food and disease. In September of 1528 these 250 "survivors" sailed westward on crude rafts along the gulf coast. 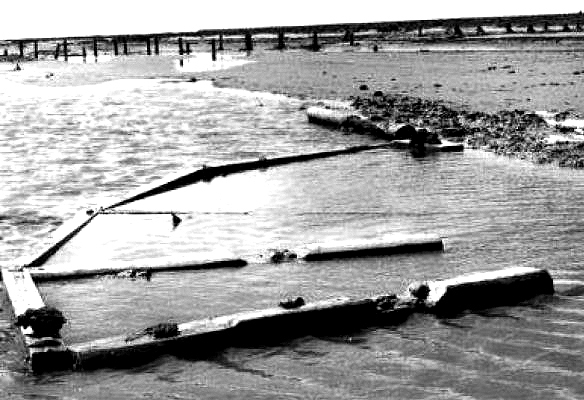 Storms and strong currents swept several of the rafts out to sea, including Narvaez's, where they were permanently lost. 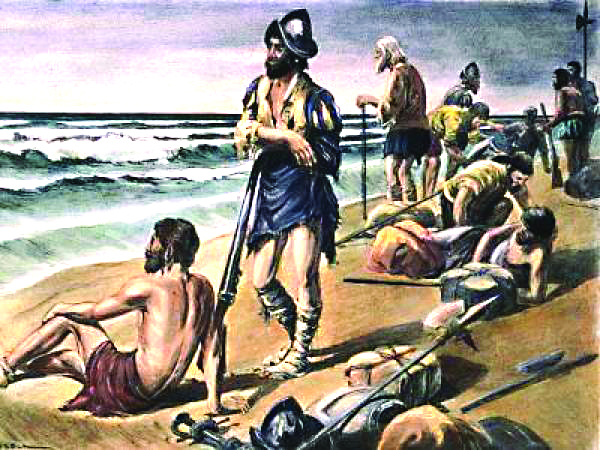 Cabeza de Vaca, the remaining captain, and about 90 others continued along the coastline until they were eventually shipwrecked on what is today Galveston Island. Here they established a temporary encampment but soon found themselves decimated by sickness and attacks from local indians. By the spring of 1529 there numbers had dwindled to about fifteen. A dozen of these explorers left Cabeza de Vaca and headed south toward Mexico. Nine of them died from mishaps and indian attacks leaving only Alonso del Castillo, Andres Dorantes de Carranza, and his slave, the African Estevanico who survived by becoming slaves of Coahuiltecan Indians, the Mariames and Yguaces. Meanwhile, Cabeza de Vaca and his two remaining countrymen explored inland from Galveston Island. 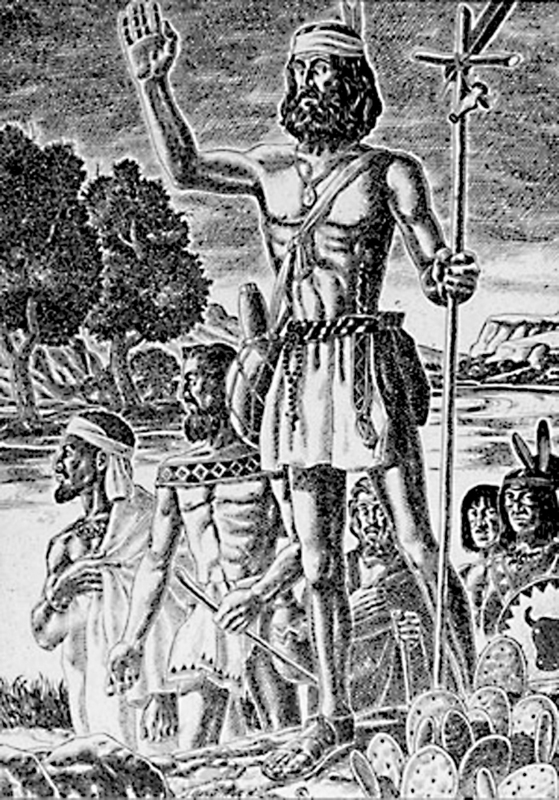 Passing from tribe to tribe for up to 3 years, Cabeza de Vaca developed sympathies for the indigenous population. He became a trader, which allowed him freedom to travel among the tribes. Cabeza de Vaca claimed that he was guided by God to learn to heal the sick and gained such notoriety as a faith healer that he and his companions gathered a large following of natives who regarded them as "children of the sun", endowed with the power to both heal and destroy. Many natives accompanied the men across what is now the American Southwest and Northern Mexico. An astonishing turn of fate re-united Vaca with the three survivors who had been enslaved by the local indian tribes when he met a tribe known as the Quevenes at Matagorda Bay in 1532. 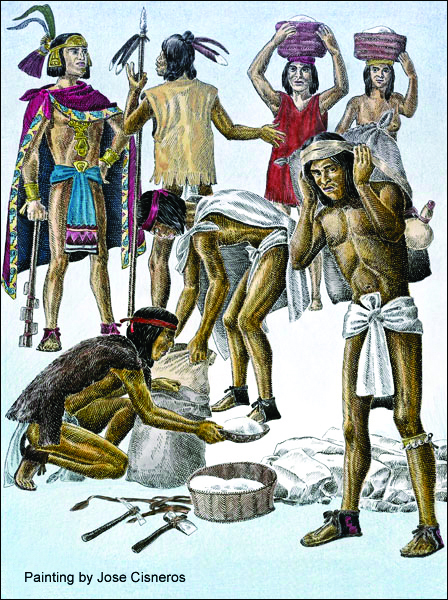 Unfortunatley for Cabeza de Vaca, he now also was enslaved by the Mariames indians. When an opportunity for escape presented itself in late summer 1534 they headed south toward the Rio Grande River. It was their good luck to be accepted by friendly Avavares Indians who ranged southwest of Corpus Christi Bay. They remained with these natives for eight months before leaving them in late spring 1535 and crossing the Rio Grande into Mexico near the present-day International Falcon Reservoir. These "ragged castaways" as they were later called, made their way along the Rio Grande River to what is now El Paso where they tuned southward and eventually arrived in Mexico City in July 1536. In all they had walked on bare feet an estimated 2,400 miles from where they had fled the Mariames and Yguaces in Texas. As a result of the fact that no vast riches were discovered in the area of New Spain which is modern day Texas, the spanish royalty ignored texas until 1685 when the French explorer Robert Cavelier de La Salle established Ft. St. Louis in what is now Victoria County, Texas. Spain's King Carlos II, perceived the French colony as a threat to Spain's claims in the territory and launched 10 expeditions trying to locate Ft. St. Louis. In 1689 the Spanish explorer Alonso de Leon finally discovered the remains of the French colony which had lasted only 3 years due to epidemics, indian attacks and harsh conditions. Years later, Spanish authorities built a presidio at the same location. When the Spanish presidio was abandoned, the site of the French settlement was forgotten to history. The importance of these spanish expeditions lies in the fact that De Leon sent a report of his findings to Mexico City, where it created instant optimism and quickened religious fervor. The Spanish government was convinced that the destruction of the French fort was "proof of God's 'divine aid and favor'". 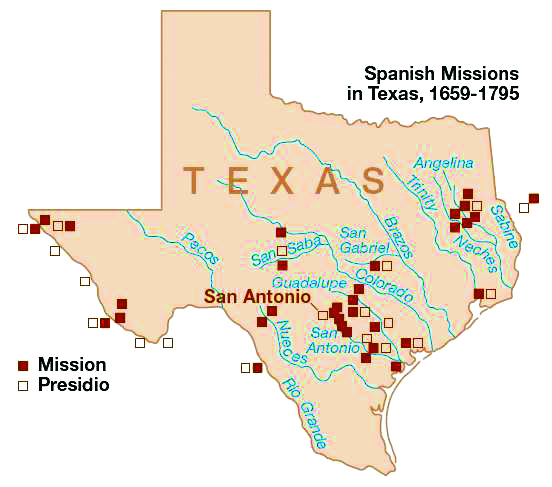 In his report de Leon recommended that presidios be established along the Rio Grande, the Frio River, and the Guadalupe River and that missions be established among the Hasinai Indians, whom the Spanish called the Tejas. Viceroy Antonio de Mendoza approved the establishment of a mission but rejected the idea of presidios (fortified bases). On March 26, 1690, Alonso de Leon set out with 110 soldiers and several missionaries and established Mission San Francisco de los Tejas near the eastern Texas Hasinai village of Nabedaches in late May. Smallpox epidemics, drought and hostilities with the local indians caused this mission to be abandoned in 1693. After several failed attempts to re-establish the mission it was relocated to the area which is now San Antonio and was renamed San Francisco de la Espada. Many Spanish missions were established in what is presently Central and East Texas during the late 1600s and early 1700s. Mission San Antonio de Valero was established on May 1, 1718 as the first Spanish mission along the San Antonio River. It was named for San Antonio de Padua, the patron saint of the mission's founder, Father Antonio de Olivares as well as the viceroy of New Spain, the Marquis de Valero. This is the mission that later became known as the Alamo. In 1749, in a major colonizing effort along the Rio Grande, four towns were founded on the south bank of the river in Mexico: Reynosa, Camargo, Mier and Revilla (now Guerrero). Some time later, the missions in these settlements all established outposts on the Texas side when some of the settlers began to move across the river. These outposts were visitas and took their names from those missions. A visita was a kind of country chapel that was visited by the priests for Mass or to administer sacraments. One of these visitas was in Zapata County. It was an outpost of the Mission San Francisco Solano de Ampuero that was in the Mexican town of Revilla. Called Mission Revilla a Visita, it is commemorated with a state historical marker in the present-day city of Zapata at the courthouse plaza. Also in Zapata County was the ranch settlement of Nuestra Senora de los Dolores, established in 1750, about 11 miles north of San Ygnacio. Today, the site is referred to as Dolores Hacienda. Although a state historical marker put up by the Texas Centennial Commission in 1936 says there was a mission there, later research indicates there was only a small chapel for religious services provided by priests from Revilla. In 1755, another ranch settlement was founded on the east bank of the river at Laredo. Until 1760, when it received its first resident secular priest, Franciscan friars from the Revilla mission visited Laredo on occasion to minister to the settlers. The Mexican city of Mier was the site of the mission La Purisima Concepcion, and across the river in present-day Starr County was Mission Mier a Visita, begun sometime in the mid- 1750s. There is a state historical marker on US 83, 3.5 miles west of Roma. At the same time, another visita was established from San Agustin de Laredo mission in Camargo, Mexico. There is a state historical marker 2.5 miles west of Rio Grande City on US 83. Farther south in Hidalgo County a visita was established in the mid-1750s from the mission San Joaquin del Monte in Reynosa. A marker in McAllen Park in Hidalgo commemorates the visita. By the end of the 18th century there were about 3,500 spanish colonists in the area known as Spanish Texas. Many of the settlers were former soldiers who had been stationed at the various presidios during the time that missions were being established. Others were immigrants brought by the Spanish government from the Canary Islands and there were the missionaries who had come in the early 1700s to spread Christianity among the native Indians. Life was particularly difficult and dangerous during this period of Texas history. While some native tribes of Indians accepted the Spanish and co-existed peacefully, there were others who did not take kindly to the Spaniards efforts to force their way of life upon them. To make matters worse, the westward expansion of American pioneers forced Indian tribes such as the Apaches and the Comanches to migrate into Spanish Texas. Because these two tribes were constantly warring with each other, their presence in Texas caused hardships for the Spanish settlers as well as the native tribes of the area. 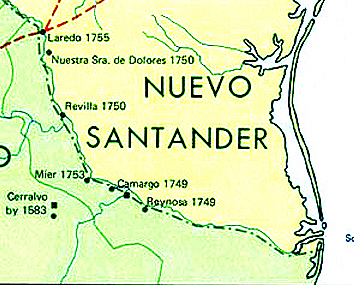 It was during this tumultuous time that the Spanish government awarded land grants in the area known then as Nuevo Santander. The land was divided on the basis of merit and seniority. Due to the shortage of water sources, porciones were long narrow strips of land bordering the river. These porciones were a little over a half mile wide and about 12 miles deep. Families were also given a small plot in town to build a house, if they wished. Many of the buildings on each porcion were placed near the Rio Grande, just far enough away to avoid flooding, and the rest of the land was used for sheep, goats, and cattle. Larger grants were made at the back of the porciones or along the Gulf of Mexico which went to influential citizens of Camargo and Reynosa. These land grants were several hundred thousand acres in size. At this time the landscape consisted of grassy plains with brushy areas concentrated near waterways. These large land grants were used mainly for cattle ranching. No fences were used, and the animals could roam as they pleased across boundaries. Mesquite trees became more abundant in the region as a result of these free roaming cattle. Cattle belonging to different owners would often merge together into large herds, and would only be separated during a rodeo, or roundup. 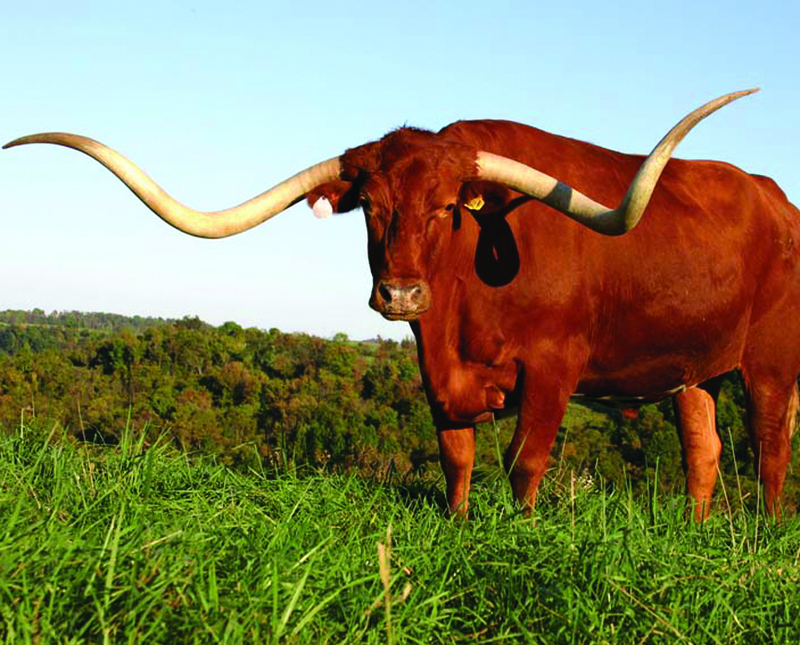 Over time, these wild herds of cattle would evolve into the Texas Longhorn so familiar today. Protection from Indian and Bandit raids against these ranchos was provided by the Spanish military based in the villas along the Rio Grande River. In 1951, archeologists from the University of Texas excavated several sites along the Rio Grande River in advance of construction crews who were to build Falcon Dam near present day Zapata. 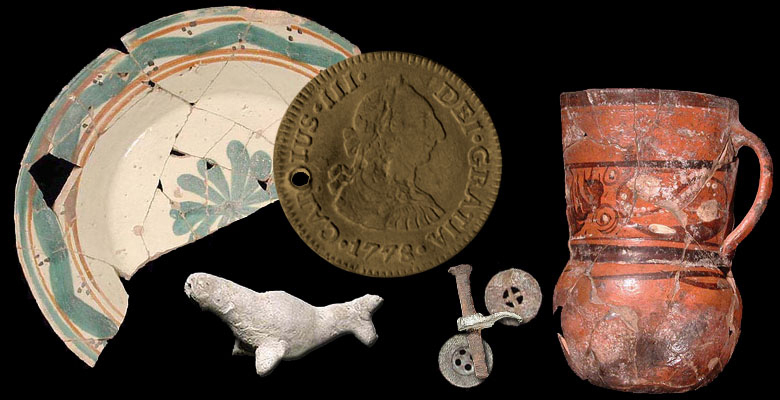 Shown here are some artifacts that were discovered during these excavations. Gordon Jenkins, a present day resident of the RGV, traces his family's heritage back to the land grants of the 1700s. He tells the story of his ancestors, the Cardenas family, who acquired the land grant called San Salvador del Tule near what is today, Edinburg. This land grant consisted of over 300,000 acres. Included within it's boundaries is the salt lake known as "Sal del Rey", a revenue source for the Spanish Crown since it imposed a one-fifth tax on the salt that was sold. Antonio Cardenas, a prominent citizen of Reynosa, had an interest in the land and so did Capt. Jose Maria Balli an officer of the Spanish military posted in Reynosa. However, Cardenas elected not to bid against Capt. Balli for the land grant because he realized that the Spanish soldiers from Reynosa provided the only protection against Indian and Bandit raids on the frontier ranchos. The Tule lands were granted to Capt. Balli's son Juan Jose Balli in 1798. Balli obtained a business loan from the Cardenas family to develop the land. Balli was charged by Spanish officials with smuggling salt from El Sal del Rey and not paying the King's tax. He was also suspected of aiding the cause of Mexican independence from Spain. He was imprisoned in 1804 at Altamira prison in San Carlos, Mexico, and died there on May 9 of that year. San Salvador del Tule was passed to his heirs. In 1829 members of the Cardenas family demanded payment on the loan that was given to the Ballis back in 1798. In lieu of payment the Balli family gave the San Salvador del Tule land to the Cardenas family who then established La Noria Cardenena Ranch. Ranch headquarters was on the Old Salt Road from the historic royal salt lake, El Sal del Rey, which was part of the ranch, to Cerralvo. Cardenas and Cavazos families, who owned adjacent land, were united by the marriage of Amado Cavazos and Manuela Cardenas in 1862. There followed many other marriages between the two families. Together they built a strong cattle-ranching community, which became the hub of over 40 ranches. During the Civil War, the Cardenas family fled to Mexico. The Confederate government of Texas seized El Sal del Rey for its valuable salt. After 80 years of litigation, the Cardenas family recovered parts of San Salvador del Tule in a landmark decision involving sovereign mineral rights. The two families have held reunions since 1913. The main ranchhouse built in 1855-1865 still stands. By the late 1700s a nice little society was growing in Nuevo Santander (present day Texas). But the people were beginning to feel far removed from the King in Spain. Without offering much support, Spain taxed the colonies, cut off funding to the missions and strictly enforced laws which the colonists believed to be unfair. Further south in New Spain, tensions were developing between Spaniards born in Spain, known as peninsulares and Criollos, locally born citizens of pure Spanish descent. Spurred by the defeat of Spain by Napoleon in 1808 the peninsulares took control of the local government of New Spain. Criollos supported by the Indians and mestizos (people of Indian and Spanish blood), conspired against this new ruling class and began the fight for Mexican Independence. After more than a decade of bloody war, independence was won in 1821 and the territory was given the name of Mexico after its capitol, Mexico City. Having been illegal under Spanish rule until 1820, Anglo-American immigration into Nuevo Santander was expanded by Mexico's National Colonization Law of August 18, 1824. However, this law favored Mexican immigrants from the south, soldiers and nomadic Texas tribes by giving them priority in acquiring land. 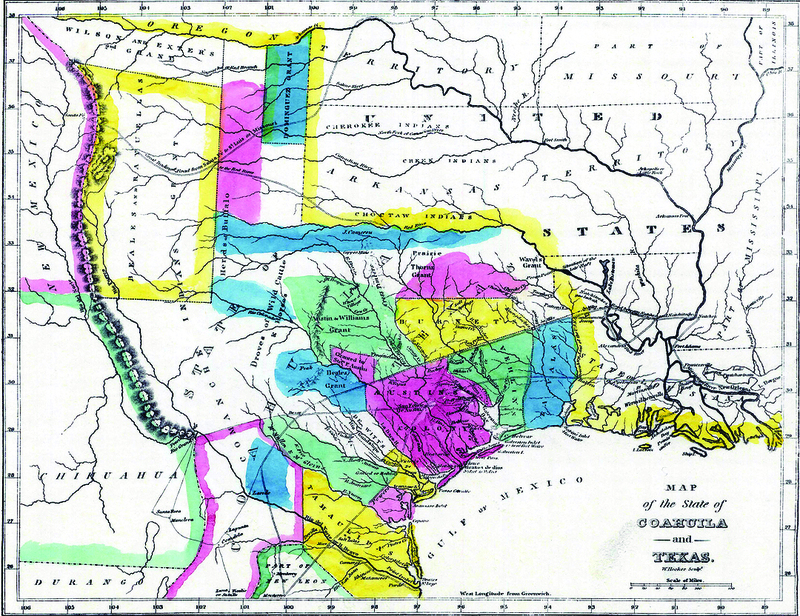 Between 1821 and 1835, forty- one land contracts permitted 13,500 families, mostly Anglo-Americans, to settle in Texas. Anglo-Americans were attracted to Mexican Texas because of undeveloped land which could be purchased for $1.25 an acre for a minimum of 80 acres. Each head of a family, male or female, could claim a headright of 4,605 acres (one league-4,428 acres of grazing land and one labor-177 acres of irrigable farm land) at a cost about four cents an acre ($184) payable in six years. Stephen F. Austin received one of the first grants to establish a colony in Texas on August 1823 on land acquired by his father, Moses Austin, from Spain in 1820. Two thousand settlers settled in the new colony that stretched from the east coast of Texas to La Grange. By 1834, over 30,000 Anglos lived in Texas, compared to 7,800 Mexicans. Antonio Lopez de Santa Anna became the president of Mexico in 1833. In 1835 he dissolved the Congress and his regime became a dictatorship backed by the military. 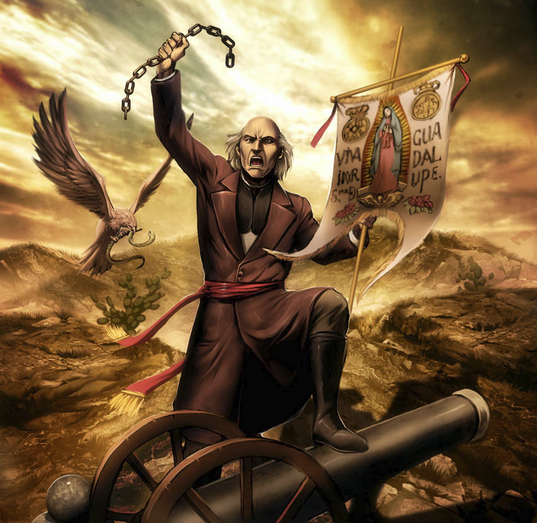 Following the Mexican War of Independence the Rio Grande Valley was part of Coahuila y Tejas which was formed through the United Mexican States 1824 Constitution. Matamoros and Reynosa had been established south of the Rio Grande River but were little more than sleepy border towns. The area north of the river was a sparsley populated area inhabited by settlers of these towns. The territory, having been divided into porciones and land grants, was primarily used for ranching and consisted of vast areas of grasslands with woody areas located around sources of water near the river. Cattle raising was successfully established in the area despite hardships caused by flooding and Indian raids. In the 1820s, early Anglo-American settlers led by Stephen F. Austin colonized Texas in areas north of the Colorado River between San Antonio and the Eastern border with Louisiana. The Mexican government tried unsuccessfully to encourage Mexican citizens to settle in Texas and the Anglo-American settlers soon out numbered Mexicans nearly four to one. Fearing annexation of Texas by the United States, the Mexican government banned further immigration from the US in 1830. This action is said to be one of the main factors in causing Texas to revolt and seek independence from Mexico. Like other Mexican states discontented with the central Mexican authorities, the Texas department of the Mexican state of Coahuila y Tejas rebelled in late 1835 and declared itself independent on 2 March 1836. Santa Anna marched north to bring Texas back under Mexican control by a show of brute merciless force. Santa Anna's force crossed the Rio Grande above Laredo on February 16, 1836. A second Mexican force, led by Gen. Jose de Urrea, crossed the Rio Grande at Matamoros the next day. Major battles in the war for Texas' independence took place in the territory from San Antonio to the Eastern border, however there was some action in the Lower Rio Grande Valley. In February of 1836 Colonel James Fannin led a force of around 200 men on an ill fated attempt to attack Matamoros to prevent it from being used as a staging point for the Mexican army. Unfortunately, escaped Mexican prisoners were able to warn Gen. Urrea of the plan. Urrea's army marched north and defeated Fannin's forces at Goliad, executing 342 prisoners of war under the direct order of Santa Ana. In November 1835 the provisional government of Texas established an official navy. In January 1836, agents purchased four schooners: Invincible, Brutus, Independence, and Liberty. According to Teddy Roosevelt, the Texas Navy succeeded in preventing reinforcements and provisions at the Mexican naval base at Matamoros from reaching General Santa Anna's forces then occupying Texas. This forced Santa Anna to disperse his large army, to forage for food and supplies and in turn led to his defeat at San Jacinto by General Sam Houston in April, 1836 and the signing of the Treaties of Velasco. The Mexican government's refusal to acknowledge the Treaties of Velasco eventually led to the Mexican American War following the annexation of Texas by the United States in 1845. The United States claimed Texas' southern border to be the Rio Grande River while Mexico saw it as ending at the Nueces River. After a declaration of war on May 13, 1846 US forces invaded Mexican territory on two main fronts. The US War Department sent a US cavalry force under Stephen W. Kearny to invade western Mexico from Jefferson Barracks and Fort Leavenworth, reinforced by a Pacific fleet under John D. Sloat. This was done primarily because of concerns that Britain might also try to seize the area. Two more forces, one under John E. Wool and the other under Taylor, successfully occupied major cities in Mexico as far south as the city of Monterrey. Military conflicts in the Lower Rio Grande Valley during the Mexican American War include the Siege of Fort Brown, in Brownsville and the battles of Palto Alto and Resaca de la Palma. < Outnumbered militarily and with many of its large cities occupied, Mexico could not defend itself and signed the Treaty of Guadalupe Hidalgo on February 2, 1848. The treaty gave the US undisputed control of Texas firmly establishing the US-Mexican border as the Rio Grande River. After the end of the Mexican-American War the population of Texas grew rapidly as migrants poured into the cotton lands of the state. In addition to Americans moving into Texas, thousands immigrated from Germany and Czechoslovakia. Cotton plantations brought with them slavery, and in 1860, 30% of the total state's population of 604,215 were slaves. Texas declared its secession from the United States on February 1, 1861, and joined the Confederate States of America on March 2, 1861. It is estimated that in 1861 only one third of the white population in Texas supported the Confederacy. Those loyal to the Union were mainly from the northern counties, the German districts and the Mexican areas. Large scale massacres against these unionists caused many to flee south across the Rio Grande River into Mexico. During the Civil War, the Rio Grande River delta was a vital depot for the Confederate cotton trade. With Union ships blockading ports from Virginia to Texas, Confederate leaders transported their "white gold" across the Rio Grande, loaded it onto Mexican flagships in the Port of Bagdad and sailed it safely past the blockading forces. Fort Brown, in Brownsville, became a strategic location for this thriving trade. In November 1863, Union troops invaded Texas at Brazos Island and marched inland successfully occupying Brownsville in an attempt to halt the flow of cotton. They held the territory until July 1864 when Confederate troops recaptured the city. Union forces were forced to withdraw to Brazos Island where they remained stationed for the remainder of the war. 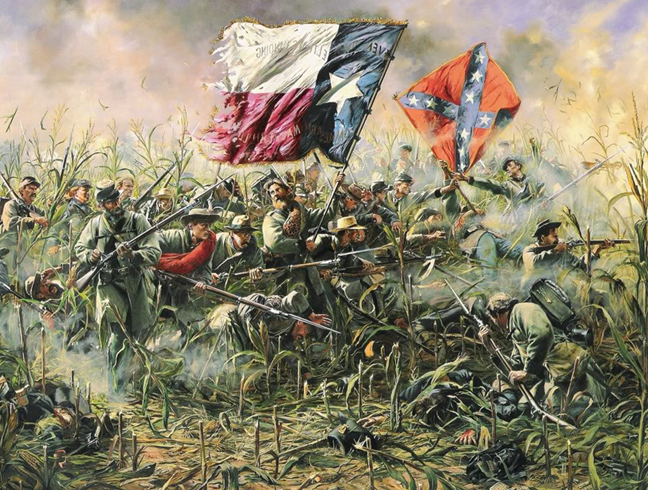 Few battles actually took place in Texas during the civil war. However, the Rio Grande Valley is the site of the last battle of the war. The Battle of Palmito Ranch was fought in May 1865, one month after the surrender of Confederate Gen. Robert E. Lee in April 1865. Ironically, the Confederate troops claimed a victory in this the final conflict of the Civil War. The Port of Bagdad Bagdad, Tamaulipas, Mexico was a town established in 1848 on the south bank of the mouth of the Rio Grande River inside the municipality of Matamoros. In 1861 Matamoros had a population of about 40,000 and the Port of Bagdad population was nearly 12,000. Prior to the American Civil War, Bagdad was but a recreational destination for the residents of Matamoros. When the Mexican- American War broke out, Matamoros was split into two cities. Those residents with loyalties to the United States moved north of the Rio Bravo (the Rio Grande) and created Brownsville. However, Bagdad continued on as a destination for recreation for the people of both cities. During the American Civil War, Union warships bottled up Southern ports. In response, the Confederacy opened a back door on the Rio Grande River, which by treaty was an international waterway. Cotton was the "white gold" that would sustain the Confederacy during the Civil War, and cotton was literally "King" in south Texas. Richard King, owner of the famed King Ranch, along with several partners, was a major player in the cotton trade during this time period. Cotton was hauled by wagon, oxcart and mule cart to Matamoros where many speculators and agents vied for this valuable commodity to ship to Europe. They offered in exchange vital goods: guns, ammunition, drugs, shoes & cloth. At Bagdad, cotton was loaded from small boats onto ships in the Gulf of Mexico. Goods crossing here played an important role in the South's war effort. Clarksville, Texas was near the mouth of the Rio Grande, opposite the Mexican city of Bagdad. During the Mexican War a temporary army camp stood there, with William H. Clark, a civilian, in charge. Clark set up a country store and served as agent for the steamship lines using the port. The town quickly developed; houses were built up on stilts to be above high water. During the early part of the Civil War Clarksville thrived on the trade of the Confederate blockade- runners, but in 1863 it was captured by federals, who held it most of the time until the end of the war. The Port of Brazos Santiago was located on Brazos Island in what is now Cameron County, across Brazos Santiago Pass from the south end of Padre Island. By 1867 the north end of Brazos Island was a well-developed military port with three wharves on Brazos Santiago Pass, a railroad south to Boca Chica and on to Whites Ranch on the Rio Grande, four barracks, a hospital with four outbuildings, two gun emplacements, numerous warehouse buildings, and a lighthouse. After the Civil War the troops left Brazos Island, and the small town of Brazos faded away. On October 7, 1867 an intense hurricane struck the mouth of the Rio Grande with great fury and devastated the towns of Clarksville, Texas, Brazos Santiago, Texas and Bagdad, Tamaulipas, Mexico. In 1874, another storm roared ashore at the mouth of the Rio Grande River. A storm surge of over twenty feet inundated much of the shore from the mouth of the river north. These natural disasters spelled the end of the Lost Cities of The Rio Grande Valley and very little physical evidence remains today to prove their existence. The lower Rio Grande contains good agricultural land, the region being a true delta and the soil varying from sandy and silty loam through loam to clay. The area of about 43,000 square miles witnessed a tremendous development in a period of about thirty years from the late 1800s to through the early 1900s. This spectacular development is attributable to two factors: the introduction of irrigation on a large scale in 1898 and the building of the railroad in 1904. Before that time the Valley was little more than quasi-desert rangeland. 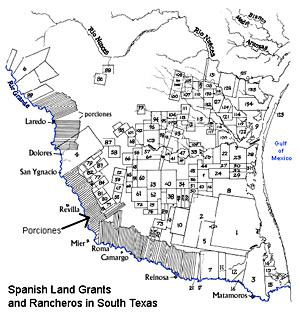 When the Spanish first occupied the area around 1750, they settled on the right bank of the river and divided the area north of the river into great cattle-ranch grants. The first American settlement in the area was Brownsville, which was founded as a result of the invasion of Zachary Taylor and the United States Army in the Mexican War (1846). The town, which sprang up around Fort Brown, remained practically the only settlement of size or distinction in the Valley for over half a century. The coming of the railroad and irrigation made the Valley into a major agricultural center. In Hidalgo County, land that had been selling for 25 cents an acre in 1903, the year before the St. Louis, Brownsville and Mexico Railway arrived, was selling for $50 an acre in 1906 and for as much as $300 an acre by 1910. A large-scale migration of midwestern farmers in the teens and twenties, matched by a growing surge of Mexican immigration during the same period, led to dramatic population growth in Valley counties. The population of Cameron County grew from just over 16,000 in 1900 to 77,540 in 1930; that of Hidalgo County climbed from 6,534 in 1900 to 38,110 in 1920 and just over 77,000 in 1930. By 1930 the population of the four lower Rio Grande valley counties exceeded 176,000. 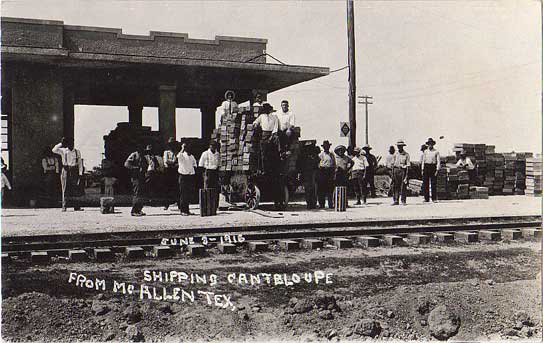 After the arrival of the railroad in 1905 the town of McAllen began developing. With the introduction of an irrigation system vegetable farming was now possible. The Valley became a truck garden center for tomatoes, cabbage, carrots, potatoes, beets, corn, green beans, and onions. Cotton and sorghum became important staples early on, but the most important crop in the region is citrus fruit. Introduced commercially in the region in 1904, citrus fruit culture has survived severe freezes in 1949, 1951, 1961, 1983 and 1989. Soon McAllen had a hotel, a grocery store, a Presbyterian church, a bank, and a weekly newspaper. In 1916 after bandits caused border trouble 12,000 soldiers were sent here to restore law and order. Business boomed with the increased population. 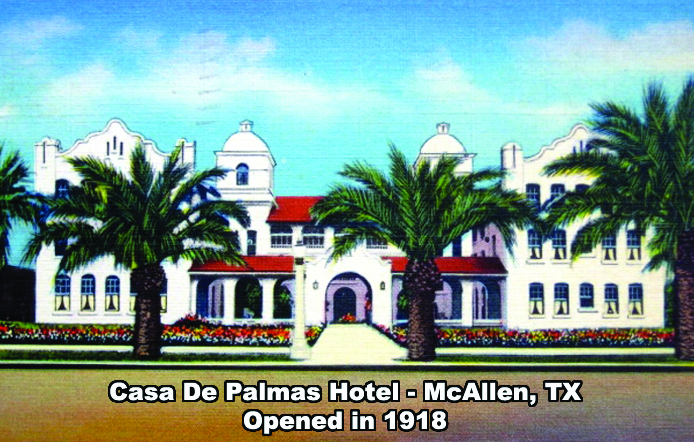 The Casa de Palmas Hotel, opened in 1918 and served as a business, social, and civic center for the Rio Grande Valley. When it comes to understanding how the Rio Grande Valley became The Magic Valley, two pioneers stand in the forefront: John H. Shary and Lloyd Millard Bentsen, Sr.
John Harry Shary, the son of Bohemian immigrants was born on a Saline County, Nebraska, farm on March 2, 1872. At the age of 22, John joined a California redwood lumber firm for which he traveled throughout the United States and in Canada. He became interested in land investments and development, particularly in Texas. Between 1906 and 1910 he and George H. Paul developed 250,000 acres in the cotton producing area around Corpus Christi, operating from out-of-state offices with special trains transporting prospective buyers to South Texas on a weekly basis. Impressed by the commercial potential of citrus-growing experiments in the lower Rio Grande Valley region John Shary bought and subdivided more than 50,000 acres of land in the Valley and installed an irrigation system. With the financial help of Jesse H. Jones he bought most of the early experimental citrus groves, especially grapefruit, and from them he harvested some of the early commercial citrus crops after World War I.
John became very influential in the Valley. 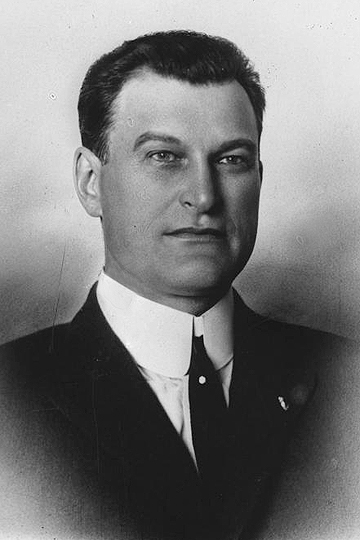 He headed numerous commercial firms, including banks, land companies, and newspapers, and was a director of the Intercoastal Canal Association and the St. Louis, Brownsville and Mexico Railway Company. John and his wife Mary lived on the Shary Estate in Sharyland, northeast of Mission. They also maintained homes in Omaha, Nebraska, and Branson, Missouri, thus qualifying them as what we today call "Winter Texans". In 1918, heeding medical advice, Peter and Tena Bentsen left their homestead in Argo Township, South Dakota and drove by car for 17 days and 1,675 miles to Sharyland, Texas. They were accompanied by their son Lloyd and his wife, Dolly. Arriving penniless, Peter Bentsen rented a place in Mission and began working as a land agent for John Shary. Lloyd and his brother Elmer Bentsen became the premier colonizers and developers of Hidalgo County, which led all counties of the United States in cotton production and raised a good part of the Valley's 1948 $100 million citrus and vegetable crop. In 1952 the county centennial program described the contribution of Lloyd and Elmer's stake in the county's economic development. 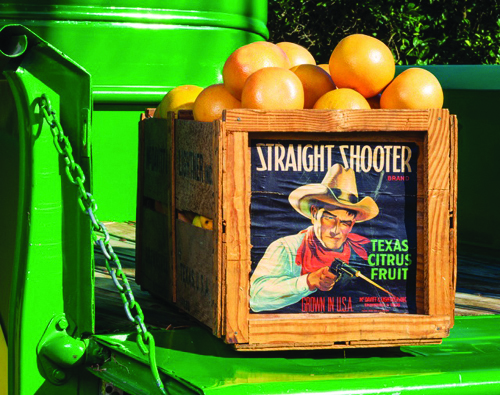 The Pride O Texas citrus trademark contributed substantially to the fortune that the Bentsen family began amassing. Elmer and Lloyd were principals in the Elsa State Bank, Elmer a president and director and Lloyd on the board of directors. 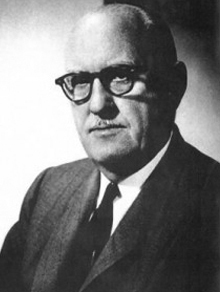 Lloyd was also a principal in the First National banks of McAllen, Mission, Edinburg, Raymondville, and Brownsville. He served as president of the Rio Grande Valley Chamber of Commerce from 1944 to 1946 and was instrumental in uniting and developing Cameron, Hidalgo, Starr, and Willacy counties. Later in life he became sensitive to preserving the natural environment of the Valley and donated land that became the Bentsen-Rio Grande Valley State Scenic Park. In 1906 the Rio Grande Land and Irrigation Company owned the tract of land south of Mercedes, TX which is now known as the Horcon Tract. Located on this tract of land was a small Texas town called Rio Rico. 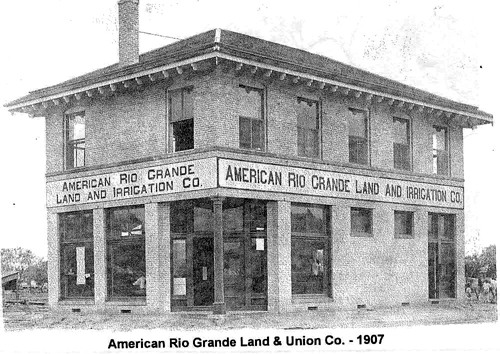 Owners of the company were concerned that the Rio Grande River, the official boundary between Texas and Mexico, would shift its course leaving their new irrigation pumping station high and dry. Without legal authorization, they diverted the river's course manually by blasting and digging a new channel north of the town of Rio Rico. When all was said and done, Rio Rico, TX was left south of the river. American authorities charged the company with violating treaties with Mexico that forbade artificial water diversions. Those treaties also stipulated that while such diversions might change the course of the river, they did not change the international boundary. The company paid a $10,000 fine in 1911, and also paid $2,000 to survey and mark the international boundary in the nowdry riverbed. Even though the tract of land was legally still a part of the United States, its location, now south of the river, caused it to come under the jurisdiction of Mexican authorities in the area. Local Texans paid little attention to this situation. In fact the town of Rio Rico prospered as a gambling community during the prohibition years. A Chicago syndicate, rumored to have ties to Al Capone himself, developed Rio Rico in 1928. They built a greyhound race track and saloons and welcomed Texans to come and enjoy themselves. Some say that they may have smuggled narcotics out of Mexico by hiding the drugs under the blankets placed over the dogs after a race. For 10 cents, anyone could cross a two lane, 260-foot suspension bridge built in 1928 linking Rio Rico, on the south end of the bridge, and Thayer, Texas. "The story goes, in one year they paid back the bridge completely on that 10-cent fee. That's how many people went over there," said Laurier McDonald, retired Edinburg attorney and local historian. The town's resort status plummeted at the end of prohibition in the mid-1930s. When a storm washed away the bridge in 1941, the town became just another small border town. When the Rio Grande Land and Irrigation Company paid the fines imposed and the cost of surveying the international boundary, they neglected to pay an additional $200 to place markers defining those boundaries. After prohibition was repealed Rio Rico faded into the past and became just another sleepy border town. Persistent flooding caused residents of the town to relocate farther south to where it is presently located. Mexican authorities continued to govern the area even though officially it was still in United States territory. For three decades Texans virtually ignored Rio Rico as though it never existed. Then in 1967 James E. Hill Jr. was writing a scholarly treatise and stumbled upon the forgotten EI Horcon Tract. Calling the tax assessor of Hidalgo County, Hill asked if they were collecting taxes on the Texas land. He was told they weren't since the county had no control of Rio Rico because it was south of the river, Mexico territory. Though the residents of Rio Rico were nicknamed the Lost Americans, the Forgotten Americans, nothing more was done until Homero Cantu Trevino entered the picture, walking into the Edinburg, TX law office of Laurier McDonald to inquire about immigration papers. As fate would have it, McDonald had been talking to the County Tax Assessor and knew of the stories of Rio Rico and the Horcon Tract. When Cantu stated his birthplace as Rio Rico, McDonald's interest was piqued. "As far as I'm concerned, based on what you told me, you're an American citizen," McDonald told Cantu. As a result of this chance encounter and the litigation that followed, Cantu was declared an American Citizen by Interim Decision No. 2748 in Hidalgo County. In 1970, the U.S. ceded the territory to Mexico in the Boundary Treaty of 1970, the American-Mexican Treaty Act of October 25, 1972 authorized the U.S.'s participation and the handover to Mexico took place in 1977. At the announcement of Rio Rico being American soil from 1906 to 1972, Rio Rico became a virtual ghost town overnight as residents flocked to the U.S. to gain their rightful citizenship. From around the world, non-Americans called, claiming Rio Rico as their birthplace hoping for that elusive U.S. citizenship. McDonald helped over 250 claim their legal rights as Americans. If only the land and irrigation company had paid the $200 for those silly little markers, copious amounts of time and money would have been saved. On a final note... in 1978, Hidalgo County received a check in the amount of $7,873 for back taxes for Rio Rico. Crisis is defined as a time of intense difficulty, trouble, or danger. While the Valley has certainly faced a challenge during the past few years regarding the increasing numbers of Central American refugees, it can hardly be considered a crisis as referred to by mainstream media throughout the country. If you want to understand what a true crisis on the border is, you only need to go back in time one hundred years. 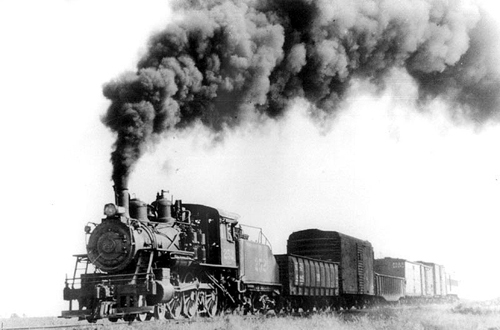 On the night of October 18, 1915, around 10:45 pm, the St. Louis, Brownsville & Mexico Railroad train suddenly derailed about seven miles north of Brownsville. A group of sixty men swarmed the passenger cars shooting Anglos on sight. In a span of only about fifteen minutes the train's engineer and three passengers were killed and the fireman and three other passengers were wounded. The raiders made off with about $325 in cash in addition to jewels, watches and even shoes. They then headed across the Rio Grande returning to Mexico. History books declare that the holdup was the work of Tejanos and Mexican renegades, using the chaos of the Mexican Revolution for their own purposes; to get money, to kill whites or maybe even to wrest control of the Southwest from America. But this was more than just an extreme case of banditry. The wreck and robbery was part of a Mexican invasion of Texas as laid out in the Plan de San Diego resulting in the Bandit War. The Plan de San Diego called for a popular uprising of American Blacks, Hispanics and Indians in February 1915. They would capture Texas, New Mexico, Arizona, Colorado and California which would all revert to Mexican control. Most alarming to American residents living near the border was the fact that the Plan ordered all Anglo males over the age of 16 to be killed. It is widely believed that the man behind this sinister plot was none other than Venustiano Carranza, the brilliant, devious and ruthless de facto ruler of Mexico at the time. It is unlikely that he really believed that Mexico could regain control of Texas and the Southwest. But the Plan could get him diplomatic recognition from the US government. The key, of course, was to keep Carranza's role hidden from the Americans and to blame his rivals or his Tejano allies for the violence that was to come. He played on the arrogance of U.S. and Texas officials, who believed that no Mexican was smart enough to pull off such a deal. In spite of the February start date, the offensive didn't really begin until July 1915. A band of 30 Mexican raiders roamed across south Texas, robbing and threatening residents, and killing at least one Anglo. Under pressure from residents and commercial interests in the region Texas Gov. James Ferguson created Texas Ranger Company D and appointed Henry Lee Ransom as its first captain. Ransom was ordered to clean things up using all means necessary. With a "shoot first and ask questions later" reputation he was more than happy to comply. On August 3, 1915 U.S. forces and a group of raiders battled at Aniceto Pizaña's ranch, about 18 miles north of Brownsville. Pizaña, along with former Cameron County Deputy Sheriff Luis de la Rosa, would become known as combat leaders of the Plan de San Diego. In the town of Sebastian, on August 6, a store was robbed by bandits who captured and murdered two Anglos. Rangers and local law officers responded by attacking the ranch of a suspected Plan member, killing him and one of his sons. Responding to reports that a Plan raid was in the works, a detachment from the Army's 12th Cavalry, along with some customs inspectors and the local deputy sheriff, went to Norias, home to the sub-headquarters of the legendary King Ranch. On the evening of August 8 about 60 riders attacked. The American defenders held out for more than two hours, even though four of them were wounded. The bandit leader was shot and killed during the fighting and his followers decided to retreat, leaving seven Mexican corpses behind. Tensions were running high. The Anglos were in fear of a local uprising, while Tejanos feared brutality from the Rangers. Governor Ferguson responded to the crisis on the border by increasing the size of the Ranger force and ordering almost all of it to south Texas. General Frederick Funston, the commander of the Army's Southern Department, believed that more raids were imminent. He positioned 40 small Army detachments, a total of 2,500 men, throughout South Texas. Brutality was present on both sides of the conflict. Some Tejanos and Mexicans who were thought to be tied to the Plan were simply killed, no trial necessary. The Mexicans attempted a number of assassinations of U.S. officials; a couple of which were successful. On September 24, nearly 100 Plan fighters, accompanied by Carranza soldiers, crossed the Rio Grande and attacked the town of Progreso. They looted and burned the place, and captured Army Pvt. Richard Johnson, taking him with them when they retreated back to Mexico. Johnson was executed, and two Carranza men removed his ears as souvenirs. His head was cut off and placed on a pole for the Americans to see. 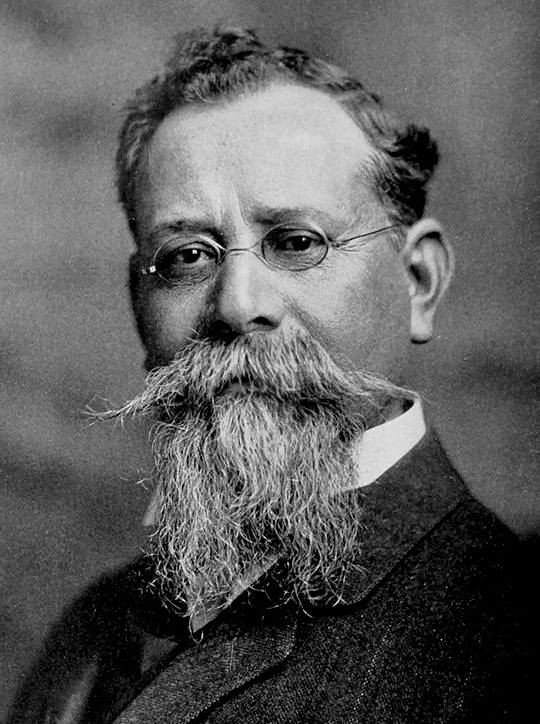 On October 19, 1915 the United States gave diplomatic recognition to Carranza as president of Mexico. Five days later, he ended the Bandit War. True to his ruthless nature, Carranza abandoned his Tejano allies leaving them to be captured or killed. It is not clear just how many people died during the four months of the Bandit War. Some estimates go as high as 5,000. What is clear is that this was truly a time of crisis along the border and the challenges we face here today pale in comparison. In September 1914 the 1st Aero Squadron was organized based at North Island, San Diego, California. 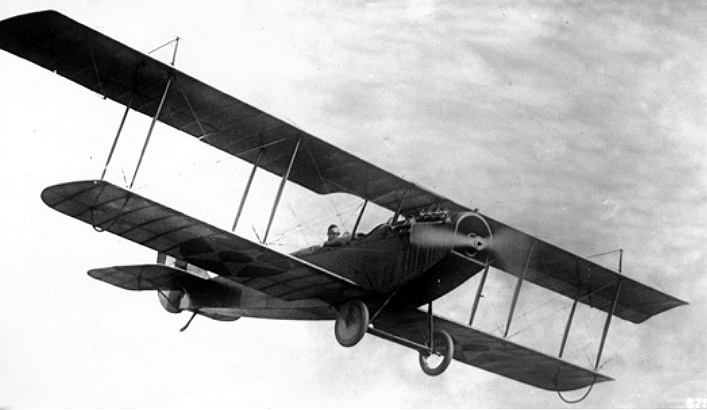 In response to tensions along the Texas - Mexico border four pilots and three planes, Curtiss JN-2s, were transferred to Ft. Brown in Brownsville, Texas in March 1915. On April 20, 1915 Byron Q. Jones took off from Fort Brown with aviation pioneer, Lt. Thomas D. Milling. Their mission was to scout the forces of Pancho Villa who were staging in the Mexican city of Matamoros. About 15 minutes into the flight, the U.S. aircraft drew the attention of Villa's forces, who opened fire with at least one machine gun, as well as small arms. Jones was able to maintain his composure under fire. He opened the throttle and nosed up, climbing to 2,600 feet to avoid the gunfire. He maneuvered away from the river and was able to return safely to Fort Brown. This marked the first time ever that an American pilot was fired upon during an aerial combat mission.